​ In addition to 2 glowing L.E.D. eyes, the Iron Man Helmet has a magnetized faceplate that can be completely detached from the helmet and then connected to the top. Attaching and detaching the faceplate triggers light up eyes and dramatic sound effects. The Iron Man Electronic Helmet features premium sculpting and deco and is an impressive addition to any Marvel collection. The helmet interior and the faceplate are detailed to evoke the electronic design. The exterior of the helmet boasts a remarkable attention to detail and a beautiful finish. 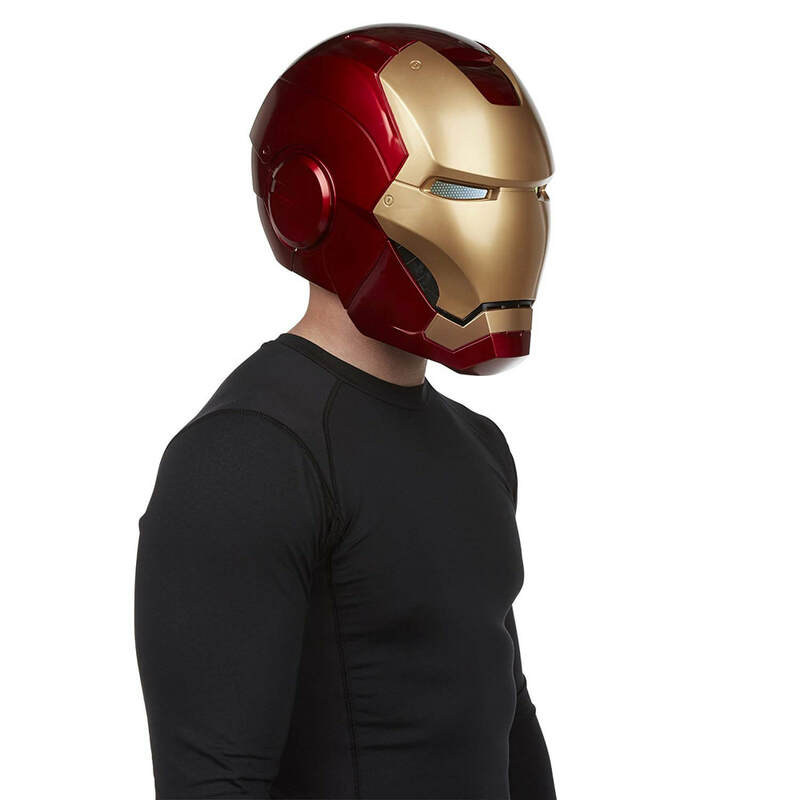 The Marvel Legends Iron Man Electronic Helmet is adjustable and fits most heads.